New York City, circa 2006. A young man lucking into any temp job he can while following his dream to be a writer. A dream girl and a bad case of unrequited love (is there any other kind?). If the story ended there, it wouldn’t be extraordinary. It would be just another tale from the big, bad, glorious city; just another romance that never was; just another friendship that never got the chance to be anything more. Angus Silver won’t let it. Angus Silver knows what people love and whom, and he offers that young writer who fell in love with that girl who didn’t love him in return a simple choice. The choice is easy. Making it is not. Making it will break someone’s heart. I know that the text was pretty visible at the time of unboxing, but I figured better to actually have this up. So that’s what Meets Girl is all about. When people ask me in conversation, I say it’s sort of a modern retelling of Faust. It’s about love, but I think it’s technically not a romance, because I think, technically, romances have to end with somebody getting married. Or is that comedies? One of the two. Excitingly, the text is finalized. My editrix signed off on the final pass. I’m working on formatting it for the Kindle now. It will be available for purchase on November 29th. Just in time for the holiday season. I haven’t yet decided how, because I’m trying out a new way to launch books. 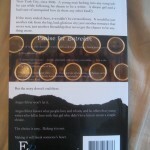 While the novel will be available for purchase on the 29th, you’ll start reading it before then. I’m going to serialize the first half of the novel here, starting November 1st, and will be posting it chapter by chapter. Meets Girl Mondays. Best way I can think to start a week. Also, the new year. One of them, at least. For the first month, the full novel will be available via Kindle for $2.99. I’m going to continue posting chapters through December. That price may change a bit right around Christmas, when everyone’s looking for books for their shiny new Kindles, and then around the New Year it’s going to be set right around there. Somewhere between three and five bucks. There will be a print version available. The print copies are way too pretty not to make them available, and I know a lot of people (myself included) want copies of books they love for their shelves. And I know you don’t love it yet, not like I do, but I think you will. I wouldn’t be doing this if I didn’t. I could make it available for print purchase via Lulu. I will probably, because doing so gets a print copy listed on Amazon, too. The price will never be more than $15 that way. I was thinking of doing something else, though. Maybe a Paypal pre-order or something. Using Kickstarter. For people who’ve been looking forward to it, and who’ve been following me and my writing for years. Which is you, basically. So I thought I’d gauge the interest. Shall I do a preorder? 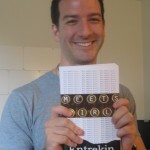 Would you like a signed copy of Meets Girl before it’s available to the general reading public? I was thinking that I could fulfill pre-orders personally, sending a signed book with a little something extra? For, like, $25? Which might seem steep for a paperback, but after all it’s a signed paperback, with something extra, early. Let me know in the comments here. Or privately. Or by Facebook. Or Twitter. Or however you’d like. Send a smoke signal. You could try semaphore, but it’s been a while and I don’t remember all the gestures to respond. Sorry. Finally, I should mention, I think I’m going to do a couple of contests, the winners of whom will get something special related to Meets Girl. Details on that when I hammer them out.